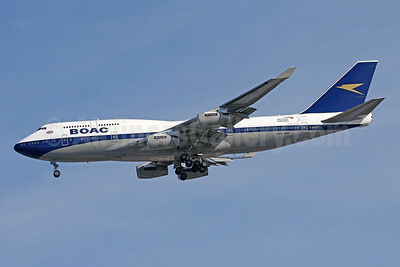 BOAC (British Airways) Boeing 747-436 G-BYGC (msn 25823) (British Airways 100 1919-2019) DUB (Greenwing). Image: 945722. 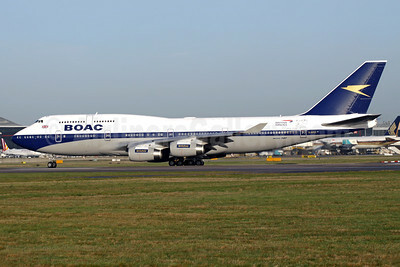 BOAC (British Airways) Boeing 747-436 G-BYGC (msn 25823) (British Airways 100 1919-2019) IAD (Brian McDonough). Image: 945751. 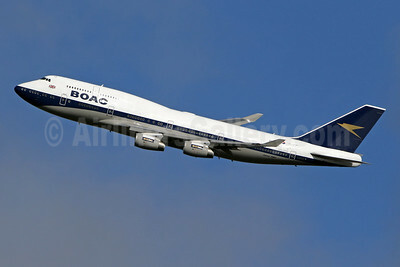 BOAC (British Airways) Boeing 747-436 G-BYGC (msn 25823) (British Airways 100 1919-2019) LAX (Michael B. Ing). Image: 945777. 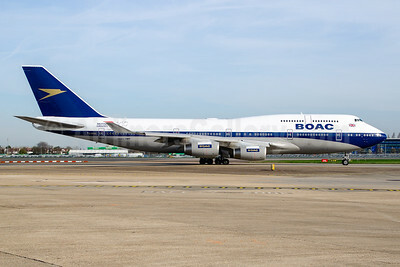 BOAC (British Airways) Boeing 747-436 G-BYGC (msn 25823) (British Airways 100 1919-2019) LHR (Antony J. Best). Image: 945750. 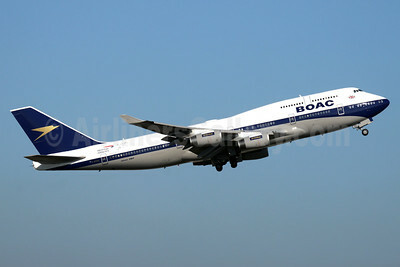 BOAC (British Airways) Boeing 747-436 G-BYGC (msn 25823) (British Airways 100 1919-2019) LHR (Antony J. Best). Image: 945767. 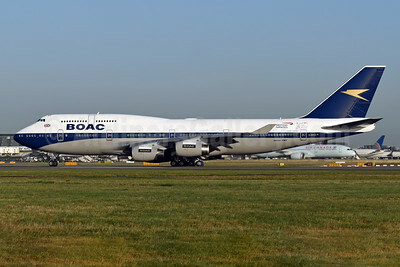 BOAC (British Airways) Boeing 747-436 G-BYGC (msn 25823) (British Airways 100 1919-2019) LHR (Richard Vandervord). Image: 945723. 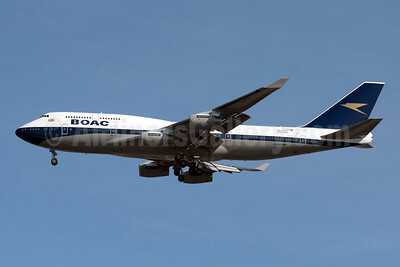 BOAC (British Airways) Boeing 747-436 G-BYGC (msn 25823) (British Airways 100 1919-2019) LHR (SPA). Image: 945886. 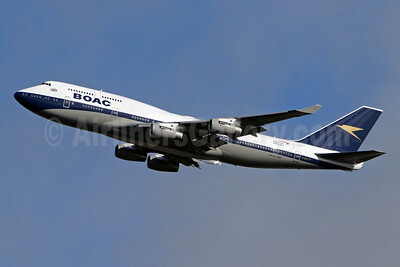 BOAC (British Airways) Boeing 747-436 G-BYGC (msn 25823) (British Airways 100 1919-2019) LHR (SPA). Image: 945921. 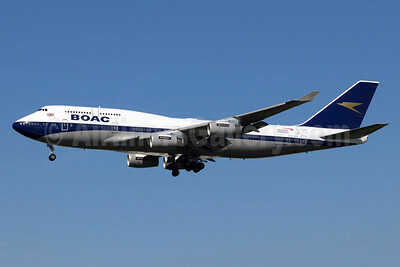 BOAC (British Airways) Boeing 747-436 G-BYGC (msn 25823) (British Airways 100 1919-2019) LHR (SPA). Image: 946070. 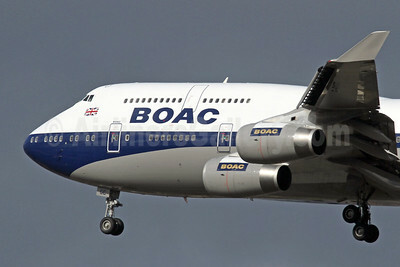 BOAC (British Airways) Boeing 747-436 G-BYGC (msn 25823) (British Airways 100 1919-2019) LHR (Wingnut). Image: 946071. 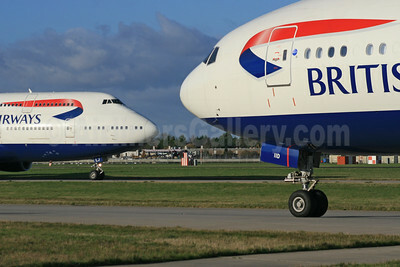 British Airways - "Rush Hour at London Heathrow" (SPA). Image: 925387. 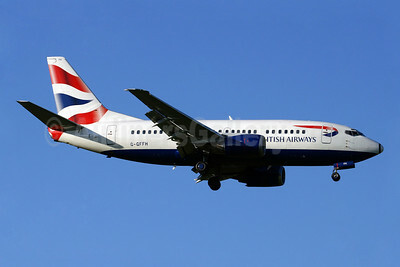 British Airways Boeing 737-5H6 G-GFFH (msn 27354) ZRH (Paul Denton). Image: 910113. 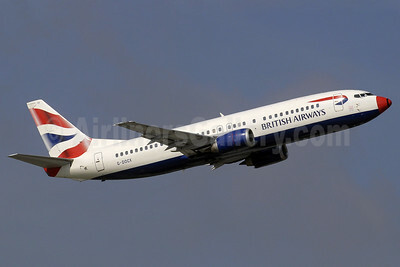 British Airways Boeing 737-5H6 G-GFFJ (msn 27355) QLA (Antony J. Best). Image: 900471. 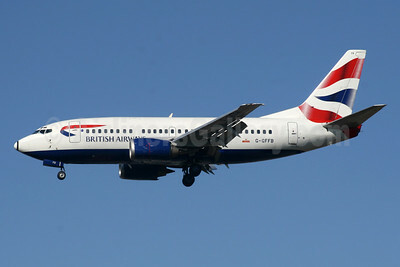 British Airways Boeing 737-436 G-DOCA (msn 25267) LGW (Antony J. Best). Image: 902027. 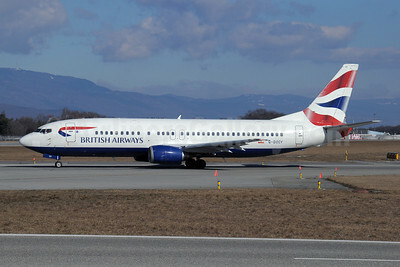 British Airways Boeing 737-436 G-DOCE (msn 25350) GVA (Paul Denton). Image: 905897. 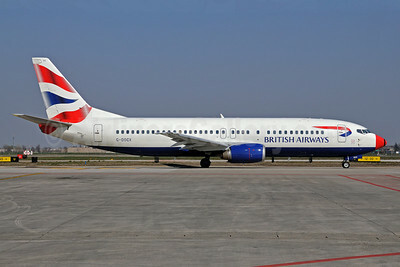 British Airways Boeing 737-436 G-DOCS (msn 25852) GVA (Paul Denton). 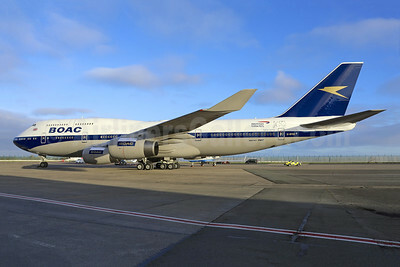 Image: 910112. 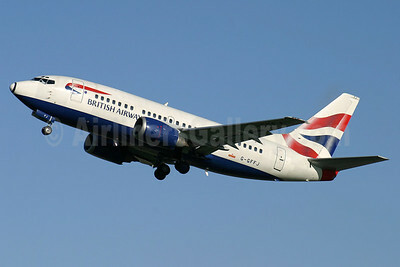 British Airways Boeing 737-436 G-DOCX (msn 25857) (red nose) BLQ (Lucio Alfieri). Image: 906212. 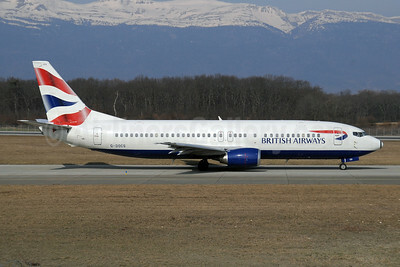 British Airways Boeing 737-436 G-DOCX (msn 25857) (red nose) GVA (Paul Denton). Image: 906351. 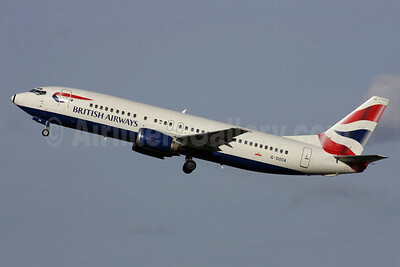 British Airways Boeing 737-436 G-DOCX (msn 25857) (red nose) LGW (Terry Wade). Image: 913803. 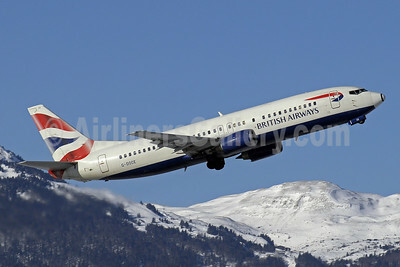 British Airways Boeing 737-436 G-DOCY (msn 25844) GVA (Paul Denton). Image: 908356. 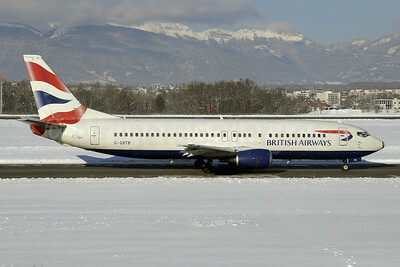 British Airways Boeing 737-436 G-GBTB (msn 25860) GVA (Paul Denton). Image: 923017. 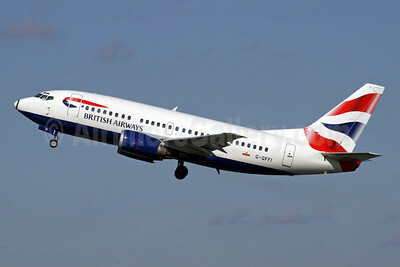 British Airways Boeing 737-505 G-GFFB (msn 25789) LGW (SPA). Image: 940806. 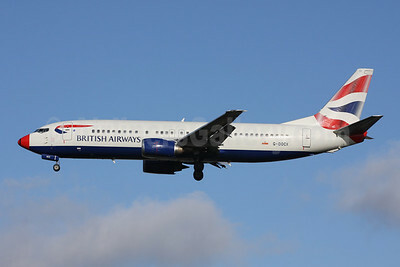 British Airways Boeing 737-528 G-GFFI (msn 27425) LGW (SPA). Image: 941774.